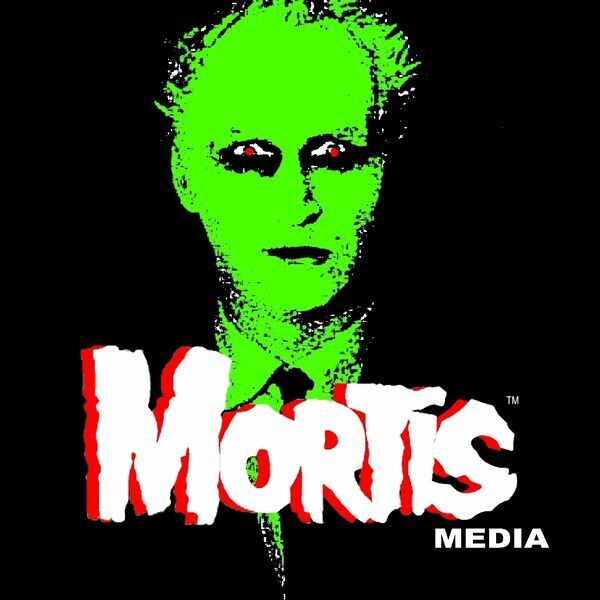 Description: On this all new episode of MORTIS, Stephen Semones salutes TROMA alum turned Hollywood king, JAMES GUNN, we geek out with THE WALKING DEAD's MOSES J. MOSELEY, David Ward skewers convention con-men in THE NEGATIVE SPACE, Shane Parkey spins some 50s and 60s SPLATTER PLATTERS in THE HOUSE OF WAX, we pay tribute to fallen horror icon, Sir Christopher Lee, William J. Wright takes you back to the roots of the horror genre with the silent classic NOSFERATU and we interview the one and only, original WEDNESDAY ADDAMS, LISA LORING!!!! All this and much more. To avoid fainting, keep repeating, "It's only a podcast . . . "
On this all new episode of MORTIS, Stephen Semones salutes TROMA alum turned Hollywood king, JAMES GUNN, we geek out with THE WALKING DEAD's MOSES J. MOSELEY, David Ward skewers convention con-men in THE NEGATIVE SPACE, Shane Parkey spins some 50s and 60s SPLATTER PLATTERS in THE HOUSE OF WAX, we pay tribute to fallen horror icon, Sir Christopher Lee, William J. Wright takes you back to the roots of the horror genre with the silent classic NOSFERATU and we interview the one and only, original WEDNESDAY ADDAMS, LISA LORING!!!! All this and much more. To avoid fainting, keep repeating, "It's only a podcast . . . "